The region of the fishing and hunting tours that are organized by the Asia travel agency Co Ltd is located in the northeast part of Tyva Republic (Tuva) in the mountain system foothills: Eastern Sayan Mountains – Western Sayan Mountains – and the Obruchev ridge that give together the source to many rivers such as the Yenisei river sources that form one of the most picturesque places in Tuva, Todjin Kettle. The surrounding country is represented by the sparsely populated and hard-to-reach mountain taiga forests. There is no industry around; the clear air with the fresh and pure rivers are all around. The fauna is represented by such fur-bearing animals and birds as sable, mink, Siberian weasel, ermine, glutton, wolf, fox, brown bear, lynx, squirrel, mountain hare, muskrat, elk, Siberian stag, roe, wild boar, musk deer, wood grouse, black grouse, hazel-grouse, upland fowl and water fowl. The rivers are inhabited by taimen, goldilox, grayling, pike, peled, pollan, perch and burbot. 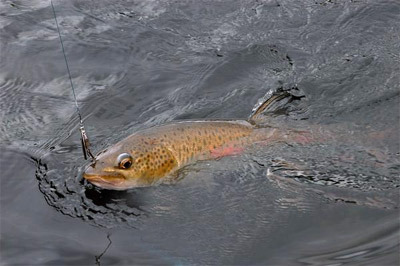 The fishing-hunting tours routs and floating tours are made along the Yenisei river sources: the Hamsara, Taymak, Serlig-Khem, Bii Khem (Big Yenisei), Ka-Khem (Small Yenisei), Kiji Khem, Bediy, Kazas, Chavash rivers; Noyon-Khol, Ak-Atyg-Khol, Choygan-Khol, Kara-Balyk lakes and many other Tuva (Tyva) lakes and rivers..
- fascinating night fishing – the large active capturing bait taimen angling. Passengers’ disembarkation and picking up is carried out with the Mi-8 helicopter. The disembarkation with the Zoria motor ship, outboard motorboats and automobile transport is also possible. The relocation facilities: the fishing floating facilities include the rafts (inflatable floats), catamarans, inflatable scull and motor boats; the hunting facilities include the airline, water, cartage, wheel transport services, snowmobiles and horses. The tour provides three meals a day that include main courses and snacks, cooked by a guiding cook. The tourists, fishermen, hunters are accompanied and guided by the experienced guides and huntsmen in the floating and hunting routs. Tours accessibility. The journeys on Tuva territory, the exclusive floating tours, trophy hunting, elite big taimen, big goldilocks, active grayling fishing as well as the unforgettable rest in Tuva (Tyva) are accessible to the corporative and family groups. The time of the tours conduct the fishing tours take place in the middle of April to the middle of May and in the middle of June to the end of September; the hunting tours take place within legally established period of the allowed hunting for definite animals’ species. n) obligatory insurance against the accidents. The supply of the weapon is also possible.